Treasure Valley Casino, a 19,666 square foot gaming facility, features electronic and table games. 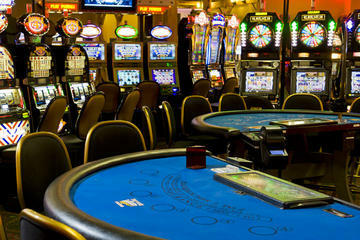 Additionally, the casino offers 59 guest rooms and suites along with an indoor swimming pool, jacuzzi and exercise facility and a banquet room with a capacity of 125. Treasure Valley Casino also features off-track betting at Wildfire. For breakfast, lunch, or dinner, eat at the Bread Basket Buffet or the Treasure Valley Diner.